2017 has already been a great year for fans of IGT slot games, with the release of some quality titles like Get Clucky, Sphinx Wild, The Wild Life and Icy Wild. And now, coming up for release next month, is The Big Easy. Let’s take a look at what this game has in store for us. The official release date for The Big Easy slot is 10th August, but you can have a quick peak at the official trailer in advance of this date below. As you can see, The Big Easy is set in New Orleans and the game has a jazz theme. The format of this video slot is 5 reels and 20 paylines, and the highlight is a Free Spins bonus round where up to 50 Free Spins are obtainable, with multipliers thrown in for good measure. The artwork promises to be high quality, drawing on the jazz traditions of one of major cities of the state of Louisiana, with the reels set against the backdrop of a street scene, and the symbols in the game including instruments, music books, lobsters and street signs, as well as singers, musicians and the game’s logo. 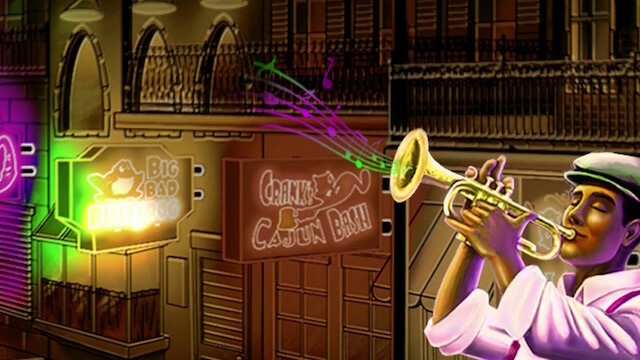 The exciting Free Spins round in The Big Easy comes with 3 scatter symbols, after which you will be required to choose from three jazz clubs to set your Free Spins number, and from a selection of instruments to decide your multiplier. Up to 50 Free Spins and a 10x multiplier are up for grabs here. The Big Easy promises to be a simple game, but with some potentially big wins available for players who hit the bonus rounds. The slot has a medium variance and The Big Easy RTP is 95.01%. Of course, like all IGT games, this one will be available on mobile, desktop and tablet. Watch out for our full game review with all the features explained nearer to the release date. But for now, you can play all of IGT’s recent releases at our top recommended casinos below. Read more about IGT slots on our game review pages.